Diwali will soon arrive and it’s better to be prepared on time for the festival of lights. Diwali does not feel like Diwali if we do not flaunt some pretty ethnic outfits. And women have one more reason to wear new clothes and we shouldn’t be holding back. So let’s check out the options we have for standing out from the crowd this Diwali. Lehengas- One of the quintessential choices for every Diwali, a lehenga sets the ight mood for the festival. The heavy flared skirts, the fitting cholis and the colourful duppattas help you to feel your best. Net lehengas are in vogue this year as well as neon and metallic colour lehengas. Or you can get inspired by Anita Dongre’s collection if you are on the lookout for something pretty and pastel. Silk Sarees- The ethereal beauty of a silk saree is very suitable for a festive occasion. 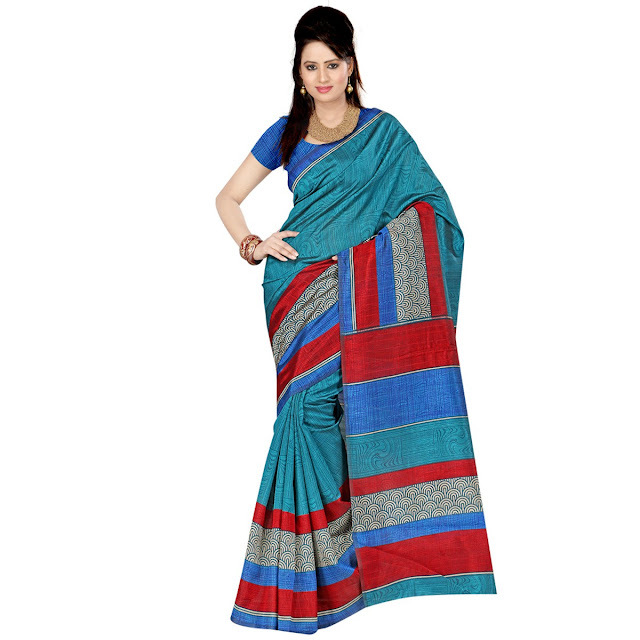 You can easily go for a heavy border work silk saree for the puja functions during Diwali. Gotta Patti and chanderi work looks stunning with south silk sarees. Accessorize it with fresh flowers gajra on your bun and you are ready to go. Half sarees- Want to opt for something trendy this season? Go for the chic Half sarees. Almost all the designer Bollywood sarees are half sarees these days. Choose a glorious colour combination and material to make it work with the function you will be wearing it for. Or you can pick some elaborate net sarees like the ones flaunted by Deepika Padukone on mot occasions to feel like a star on the festival of lights. Anarkalis- Anarkalis have created a rage in the market in the recent times and makes many a jaws drop simply at the sight of it. 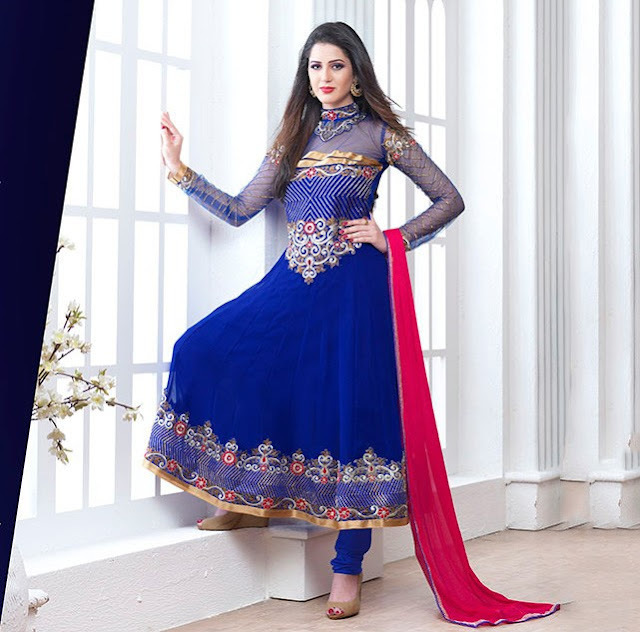 The flared kameez of the anarkali is usually heavily embroidered and is in keeping with the festive nature of the occasion for which you are wearing the ensemble. You can also go for the jacket styled ones as they have been the focal point of the Lakme Fashion week this year. Salwar suits- If you are not comfortable with the anarkalis or bored of it; just try the regular designer salwar suits. You primarily have two options in it- one is the patiala and the other is the churidar. However, if you do not want to be bound down by the common attires, go for the palazzo salwar suits. The palazzo ones can be seen on many Bollywood divas in the recent times. Ethnic gowns- A die hard lover of gowns? No, you do not have to ditch it this festive season. Instead opt for those ethnic gowns out there. 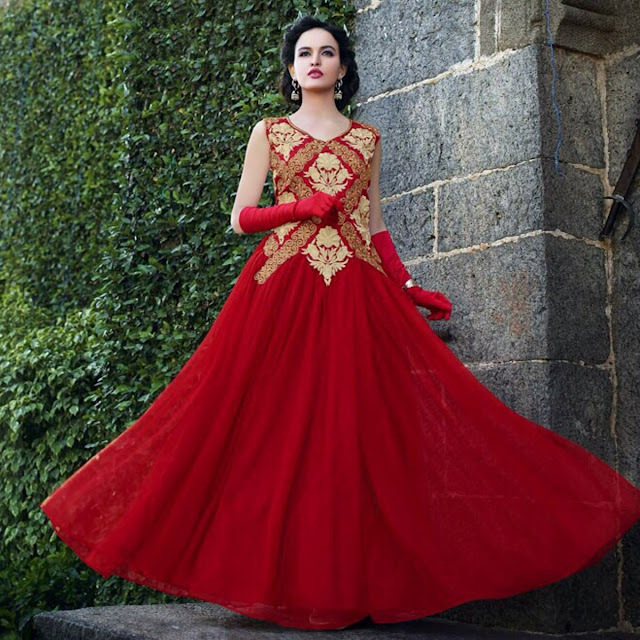 These gowns look just like the western gowns complete with its bell like shape and flares but are embroidered with ethnic designs to give it a traditional touch. 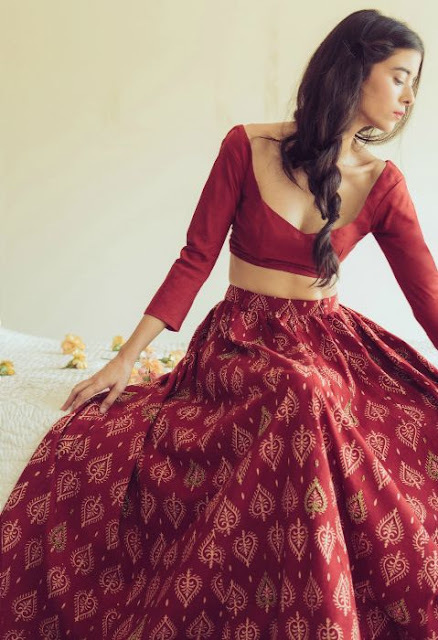 Lehenga skirts- Want to give an indo western twist to your ensemble? Why not opt for a bold lehenga skirt and pair it up with a beautiful crop top? It will give you the ethnic look and that too with no added hassles. You can also team it up with a duppatta. So which style would you flaunt this festive season, let me know in the comments below. Gorgeous! I would love to wear a crop top-lehenga skirt combo this season...cant wait for the festive season! such a nice collection ! thanks for sharing these outfits ! all are fabulous and gorgeous ! A Blog not just about Sarees. From Nail Art, Culture, Food, Travel, Reviews, Random Ramblings and Sarees... So-Saree has it all.